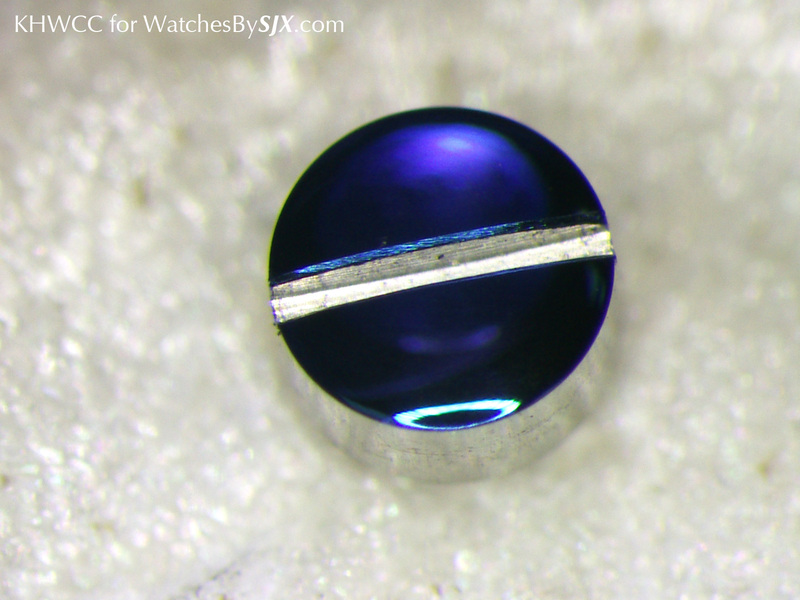 Steel screws used in watch movements are often blue. Traditionally this is done by heating the screws, hardening them and also giving them an attractive blue colour, a process Henrik Korpela explains in this in-depth article. 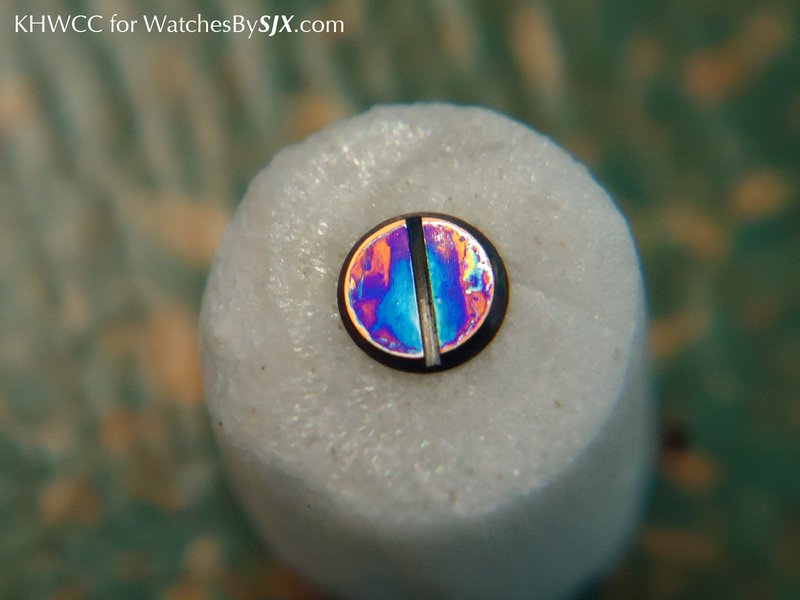 In the second of the series of educational articles by Henrik Korpela, co-founder and chief instructor at the K&H Watchmaking Competence Centre in Le Locle, the art of heat bluing steel screws and other components is explained step by step, with accompanying photos. Bluing screws is a time-consuming process that is not just decorative, but also functional by extending the longevity of the screws. 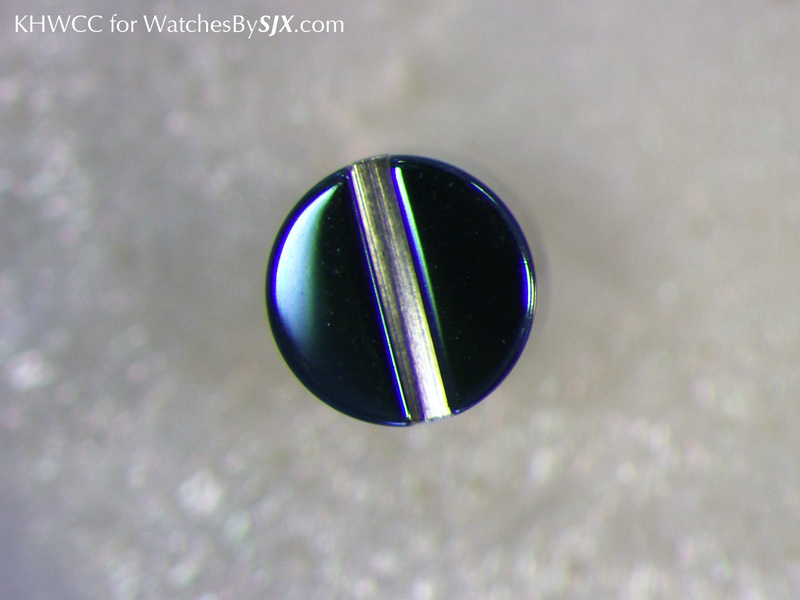 (You can read the first article by Henrik that explains black polishing right here). 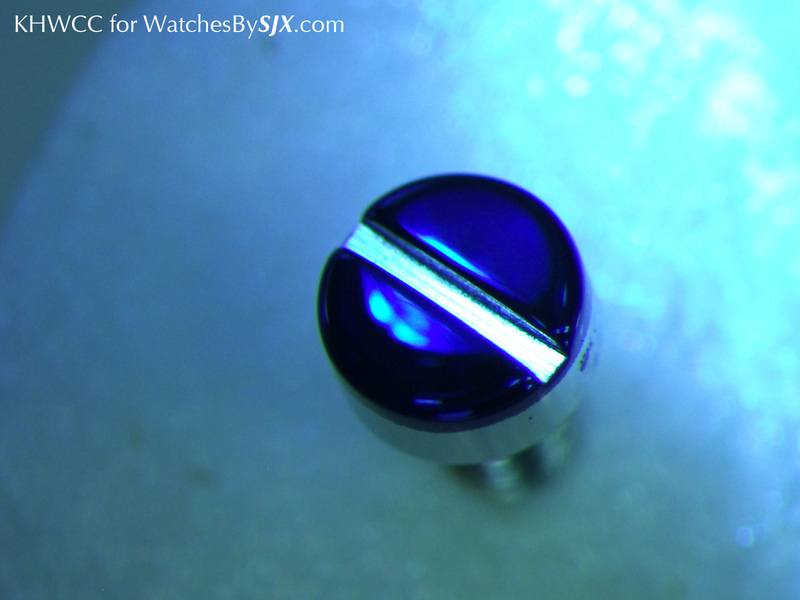 Whereas many lower cost modern watches rely on simple, cost efficient techniques to colour screws blue, the traditional technique is time-consuming and complex, with a great deal of experience necessary to heat the screw just right to achieve the shade of blue desired. 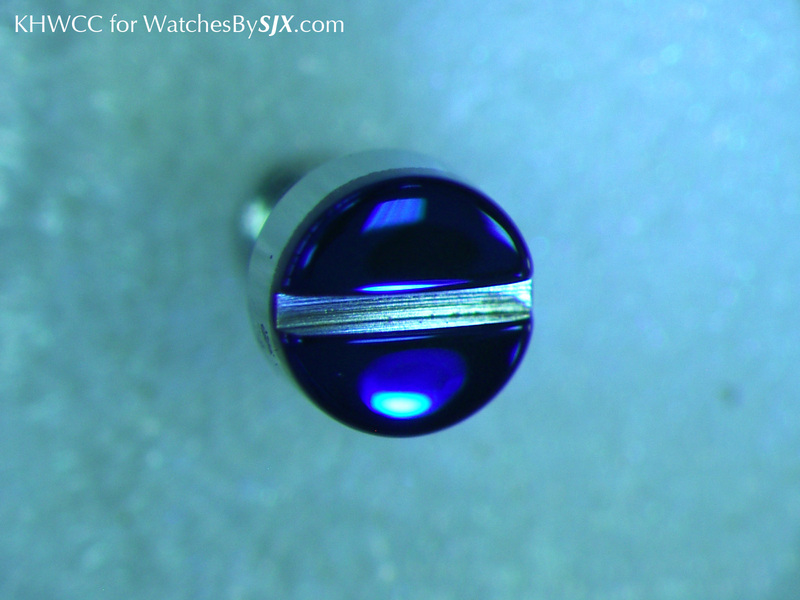 Blued steel screws are some of the most well known features of a high-end watch movement. Many brands proclaim their use of blued steel screws, but not all blued steel screws are blued equally. 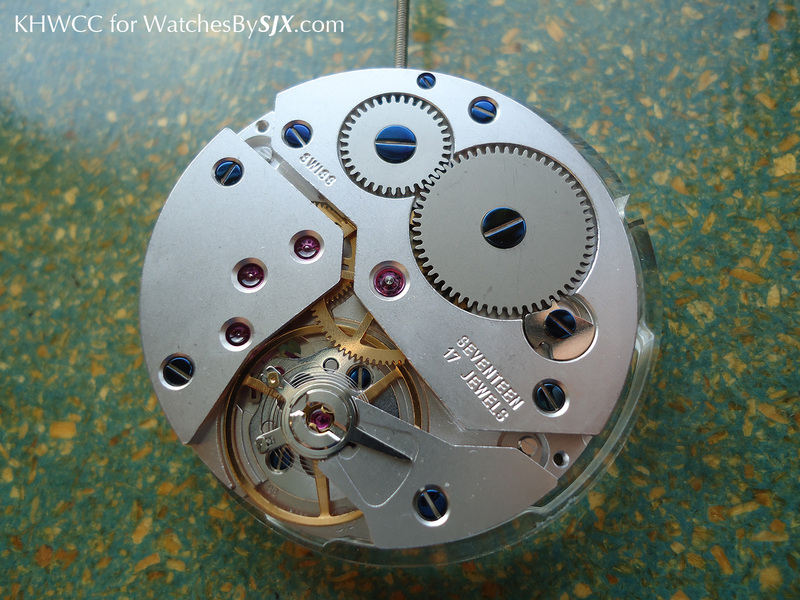 Although blued steel screws are not vital to the function of a movement they are a personal touch, like many other decorative finishing techniques used in movements, that put a little bit of the watchmaker into the watch. Bluing or tempering a steel screw is usually the last part of the heat treatment procedure; remember the same process and technique can be applied to any other steel component. The first step is hardening the surface of the screw, with the temperature depending on the composition of the steel. Since the bluing process is usually the final step, a blue colour of the screw is usually an indication that screw has undergone a heat treatment procedure. But because the hardening procedure always makes the part too hard and consequently brittle, so it needs to be softened – the primary reason to do tempering or bluing (besides the obvious aesthetic motivation). The blue colour of the steel is actually an oxide layer on the surface of the steel that comes about when it is heated to a specific temperature. Different temperatures result in other colours such as straw, brown, purple. This photo explains different tempering temperatures and the resulting colours. It’s not just about visual appeal, in fact each colour is an indication on how hard the steel part is. For example, tempering to straw will leave the part much harder than when heated to a blue colour. Steel tools such as drills and cutters are often tempered to straw or brown, in order to harden them to a greater degree than bluing them. The above photo explains different tempering temperatures. The hardness of the part corresponds to the the temperature used to temper it – so a lower temperature results in a softer surface. 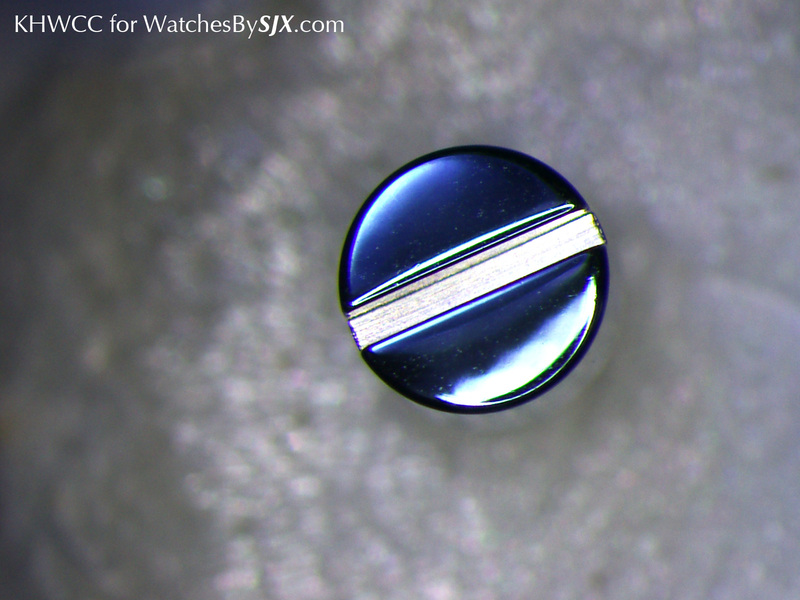 Usually watch components like screws are tempered to medium to dark blue which makes them strong enough not to break under stress, like when being tightened by a screwdriver, but with a surface hardness that wears well over time. There are a number of different methods to temper parts: over a flame, on top of an electric heater, in bluing salts, inside an over, or with a heat gun. Here we will explain the process with two methods, on an electric heater and with a flame. It is very important that the screws to be blued are polished before the heating process, and then cleaned carefully – there should be absolutely no grease on the steel surface. Tissue paper soaked with isopropanol can be used to clean the component. 1. Put some brass filings on the brass tray and then place the screw on top of the filings. Turn on the flame and then hold the brass tray over the flame. Wait for the temperature to rise. NB: Make sure the flame is not placed flammable objects or left unattended. 2. 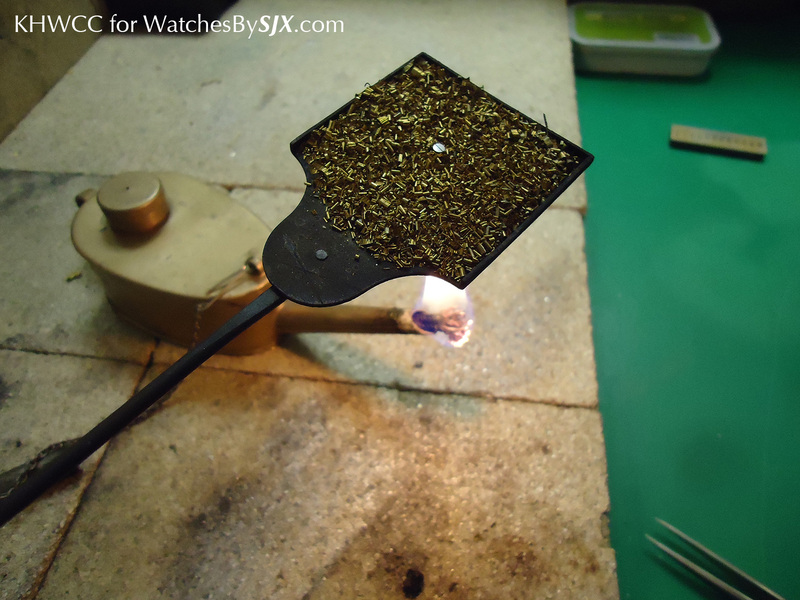 Move the tray in a circular motion around the flame to ensure all parts of the screw are heated evenly. Keep an eye on the screw and wait for its color to change. First it will turn straw, then yellowish, followed by brown, purple, dark blue, blue, light blue and grey blue. 3. Be ready to quickly remove the screw with the tweezers when the desired color has been reached. The screw should cool down almost immediately when you remove it from the heater, retaining the colour it had the moment it was pulled. 4. 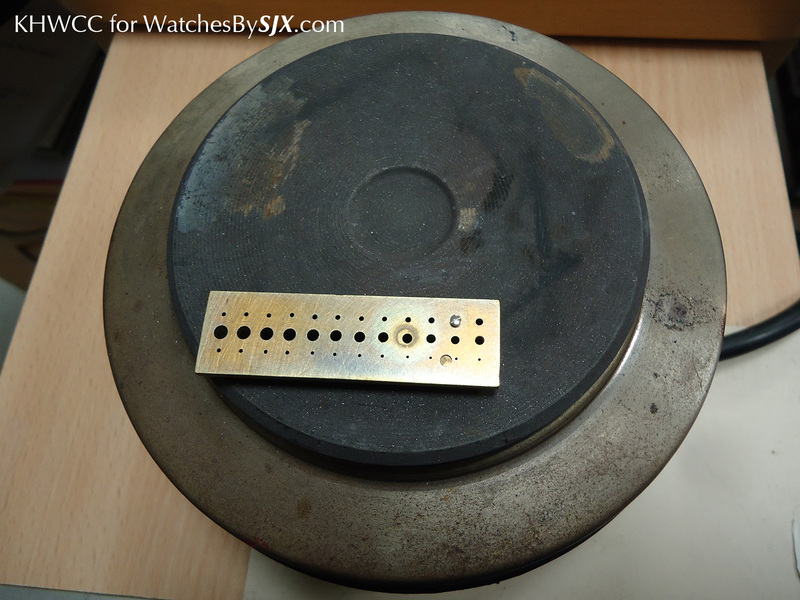 Another method of bluing steel parts is with a hotplate. The process is similar to that with a flame. The process of heating a screw is quick, requiring only a few seconds once the heating element has reached the correct temperature. 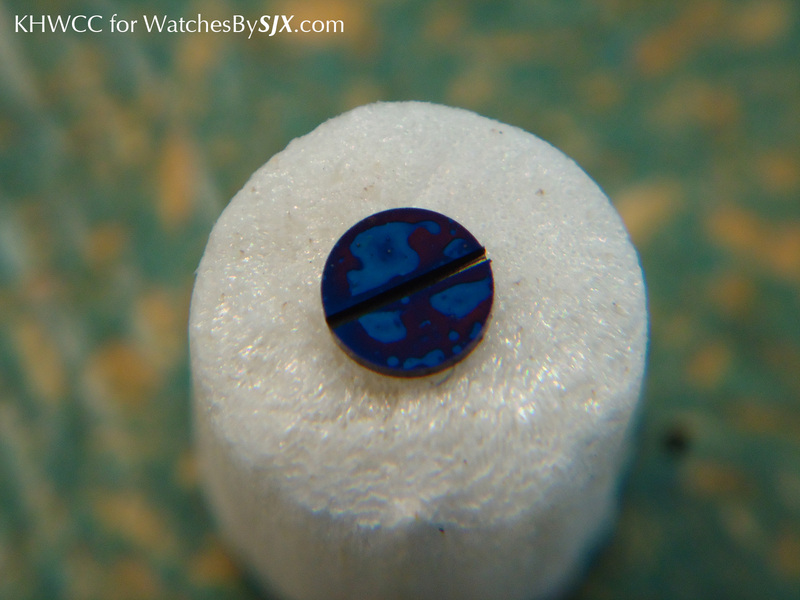 Much of the work comes in the preparation with the polishing and cleaning of the screw, or multiple attempts to achieve the right shade of blue. Very often it is impossible to know the outcome of the heating until it is complete. There are so many things that can go wrong, resulting in an imperfect blue. Grease stains, dirt or dust particles on the surface, invisible alcohol stains from cleaning, and unequal distribution of temperature over the part – these are some of the things that can lead to the wrong blue. That means a screw might need to be blued several times before the perfect blue colour is achieved, and with each attempt the screw must be polished and cleaned yet again. Here are some examples of badly prepared screws how they can end up looking like. But remember that the right blue colour is relative to all the other screws in the movement; each screw must be reasonably similar in colour. 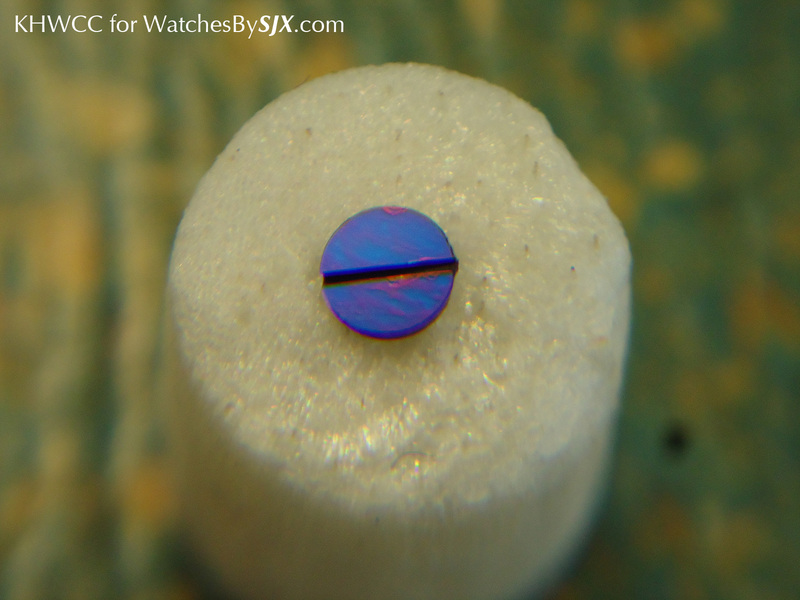 So even if a screw is a perfectly beautiful blue it might need to be redone because of a disparity in colour. Sometimes a single screw can take up to half an hour to get right. 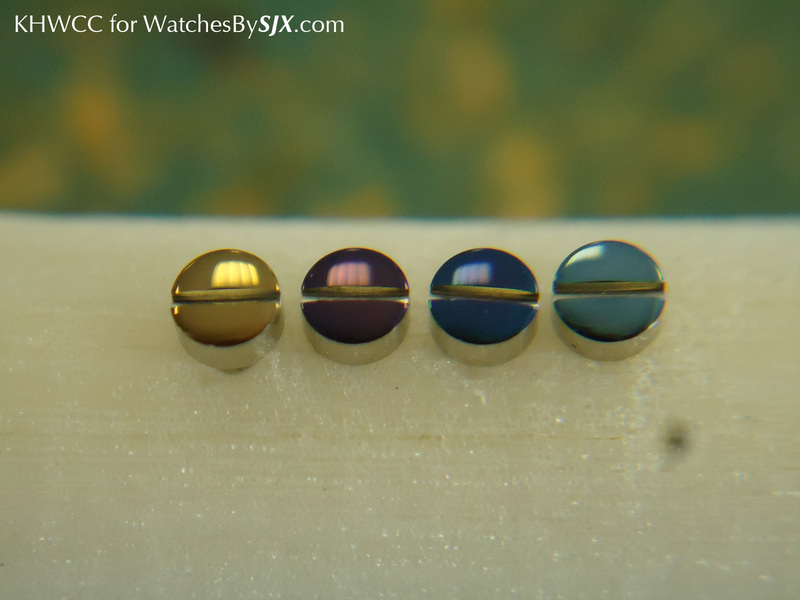 This is most apparent when restoring old watches that already have period blued screws inside the movement, requiring new screws to match in colour. 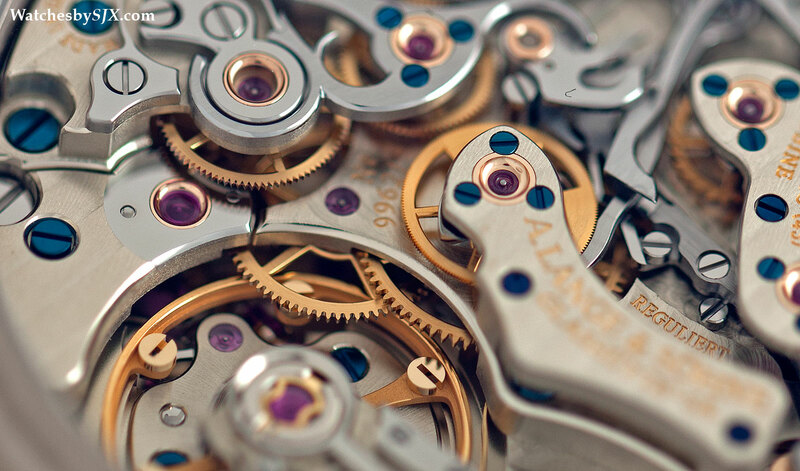 It is less of a problem when producing new movements since screws can blued in the hundreds or thousands at a go with an oven in a few seconds. 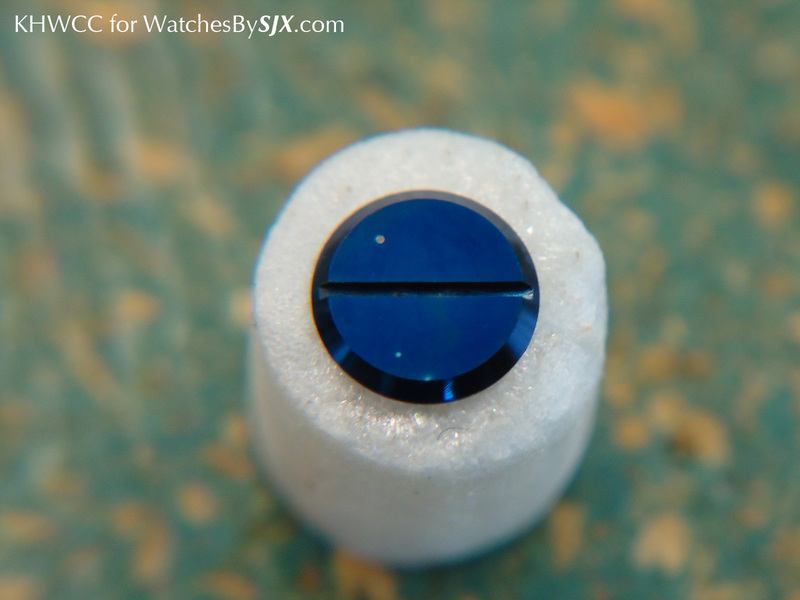 One way of distinguishing manual blued screws from those done industrially is to examine the entire movement with a loupe, comparing each of the screws. A slight variance in the blue from screw to screw probably means they were blued by hand. 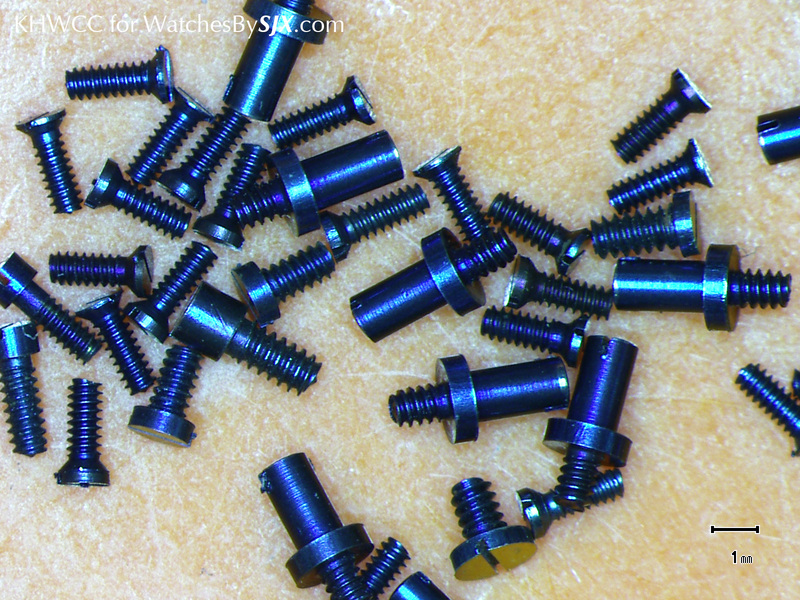 Other steel watch parts can also be blued in the same way as applied to screws. But the larger the part the harder it is to achieve a uniform blue color over the entire surface. If the part is large one solution is to used a heat resistant glass cup over the component to create a furnace-like effect, distributing heat evenly over the whole inside of the cup. But in such an instance the cup needs to be clean and clear so one can observe the color change carefully. K&H Watchmaking Competence Centre (KHWCC) in Le Locle, Switzerland, offers training in the classical techniques of watchmaking. A equipped independent academy that offers intimate class sizes, KHWCC offers a two-year, comprehensive programme. 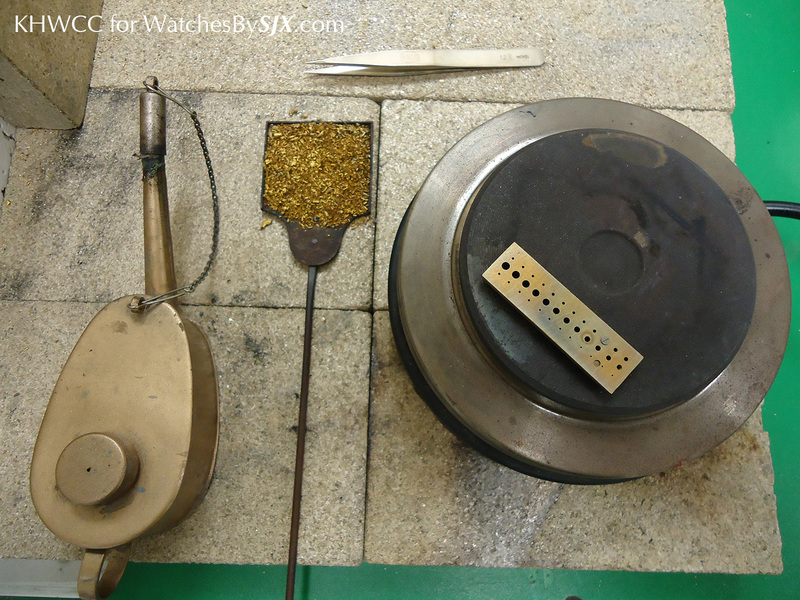 The curriculum covers both modern and classical watchmaking techniques, encompassing all the skills needed for watchmaking, repair and restoration. The school currently has a class of six pupils, with the new academic year starting in April 2015. Additional information on the school and its programme can be found on the KHWCC website. And if you haven’t done so already, remember to read Henrik’s explanation of black polishing, another remarkably enlightening article on the technique of polishing steel parts.